The styling of the company's flagship smartphone and a screen with more pixels than most people expect for the price give the Sony Xperia J a headstart over the competition. On the other hand, Sony had to make a lot of hard decisions to stay within budget. It's beyond doubt that many users will be drawn by the resolution and the price. And to be honest, the Xperia J isn't the kind of phone people would research at length. The typical Xperia J user is more likely coming from a feature phone, or an entry-level droid at best. A 4" FWVGA screen and excellent build will make enough difference to them. They'll be right on the upgrade highway. That's two compromises they no longer have to make to meet their budget. So, there we go, a point on the Xperia J's score sheet. But as we said, it has to tick as many boxes as it can to be successful in a highly competitive segment of the smartphone market. Let's see how the rivals are going about it. We've had a similar experience with the LG Optimus L7 and the HTC Desire V - both great-looking smartphones but a bit underpowered. They are is based on the same chipset, comes with a similar display - WVGA (480 x 800) on a 4.3" or 4" diagonal. They even costs about the same. The only other way to get a 4" WVGA screen on a recent midrange droid (former flagships and last season's upper midrangers don't count) is the Samsung Galaxy Ace 2. And that still is technically less resolution than the Xperia J's. The Ace 2 costs notably more than the Xperia J though and while it does offer better performance and HD video, it's still waiting for a post-Gingerbread update. And while the Xperia J might be able to withstand the attacks of those listed above, we can't help but notice that this it's not offering the best-bang for buck within its own family. 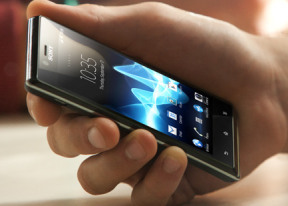 The Xperia U costs the same as the J, matches its resolution and offers more than twice the processing power. The catch here is that it has a smaller screen and only has 6GB of non-expandable storage. Solving that final issue might require you to reach just a little bit deeper in your pocket and get the Xperia sola - we find the price premium on that one to be more than worth it on. So while the high-res screen helps the Xperia J stand-out among rivals in its price bracket, the compromises involved are a bit hard to swallow. Sure, not everyone is a power user and needs multi-core CPUs or HD video recording, but we'd prefer to spend a few bucks more than live with the lag any day of the week. This is not so much criticism to the Xperia J itself, as for the whole class of devices in its price range currently. Those find themselves way too close to the NovaThor dual-cores to be worth the savings they incur. You are better off either going even lower and saving some significant cash (even if you will be making even more compromises) or reaching for the shelf just above this one and get a properly powered smartphone.